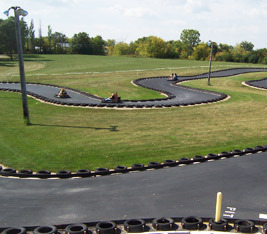 Spend a day racing, climbing and playing at Fondy Sports Park. Perfect for birthdays, group gatherings or a day out with the family. All rides and attractions are 1 ticket per person, Off-road Karts are 2 tickets per person. Passengers are 1 ticket. Fun Tickets are good for season of purchase only. Non-drivers discounted $10 (under 54” tall). 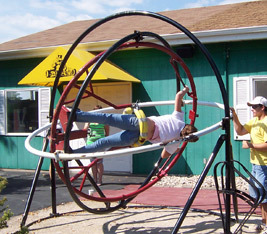 Unlimited Mini Golf, 3-D Crazy Maze, HiBall, Aeroball, Basketball play area. Plus 3 Fun Tickets for other activities. 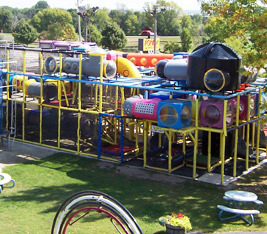 Unlimited Mini Golf, 3D Crazy Maze, HiBall, Aeroball, Basketball play area. LEARN MORE ABOUT FONDY SPORTS PARK ACTIVITIES. © 2019 Fondy Sports Park. All Rights Reserved.